Bamburi Cement company in Kenya has issued a warning that their profits will be substantially lower than the preceeding year signaling a continued slide in the fortunes of the company as this isthe second consecutive year of less than sterling performance. Kenya’s cement manufacturers are facing headwinds due to higher power costs and overcapacity in an environment where the building and construction activity has been experiencing a slowdown blamed largely by the government’s decision to implement legislation that imposed controls on lending rates by banks. The banks subsequently shut out lending to the vibrant real estate development market which it considered to risky and have resorted to marking their funds in short terms government paper. Bamburi Cement which holds the largest market share in the country has also been grappling with the poor performance by its Uganda subsidiary Hima cement for which it has made provision in its books against doubtful receivables. 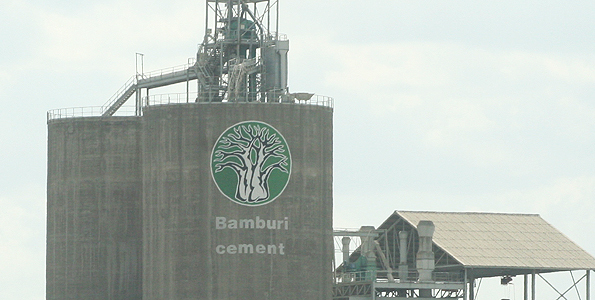 Bamburi Cement is majority owned by Lafarge a global Cement producer with operations all over the world. Bamburi Cement company posted a profit of about US$ 20 million last year which it has stated it will not come close to attaining. Bamburi Cement is not unique in a country where the cement market is facing great uncertainity. Other cement producers are also facing difficulties. Athi River Mining has been placed under administration that is intended to shield it from creditors and offer it a lifeline while East African Cement Company another cement company is banking on asset sales of land to enable it balance its books.